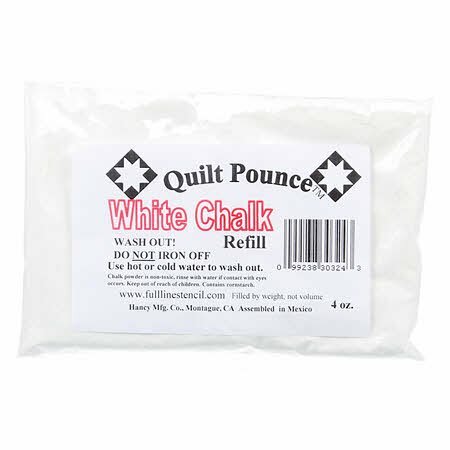 These are refills for the Pounce Chalk Marking Tool. Easily washes off with water. Keep from direct heat or sunlight. Pink, each package comes as two 4-ounce bags (total 8 ounces) at $ 4.65 each package. White, each package is one 2-ounce bag, at $ 1.65 each package.